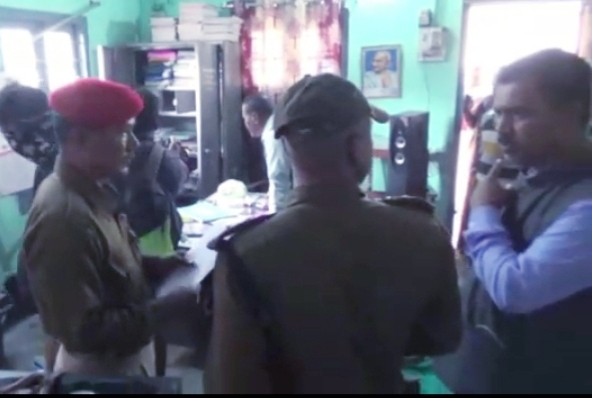 Just ahead of the Republic Day celebration amidst tight security arrangements, unidentified miscreants on Wednesday night have looted one premier educational institution and one temple at Mangaldai town of Darrang district in Assam. In the first incident, miscreants reportedly stormed into the campus of Mangaldai Town Boys’ Lower Primary school located along the NH-15 within fifty meters radius of the Mangaldai police station and official residences of the deputy commissioner and superintendent of police of the district. The burglars looted one sound system, one camera and one radio set before breaking the locks of the steel almirah and eight different rooms while vandalizing official documents and materials. In the other incident, miscreants looted cash from the donations boxes of the premier temple of Goddess Kali located at a distance of nearly 200 meters from the institution of the earlier incident. According to members of the temple management committee all the locks of the donation boxes of the temple have been broken and cash around Rs 6,000 along with a music system have been looted. Both the school authority and temple management committee has already lodged complaints in the Mangaldai sadar police station on Thursday. Meanwhile the school authority of Mangaldai Town Boys has alleged before media that the police team arrived at the school after nearly one and half hours of filing the FIR. Similarly even after three hours of filing complaint, the police team allegedly failed to arrive at the said temple premises. It may well be mentioned here that on the night of December 8 last miscreants in the same manner looted and vandalized Mangaldai Bhebarghat (ME) Upper Primary School along the NH at ward no-10 of the town. However, the police allegedly till date has not been able to inform the school about the outcome of the investigation.